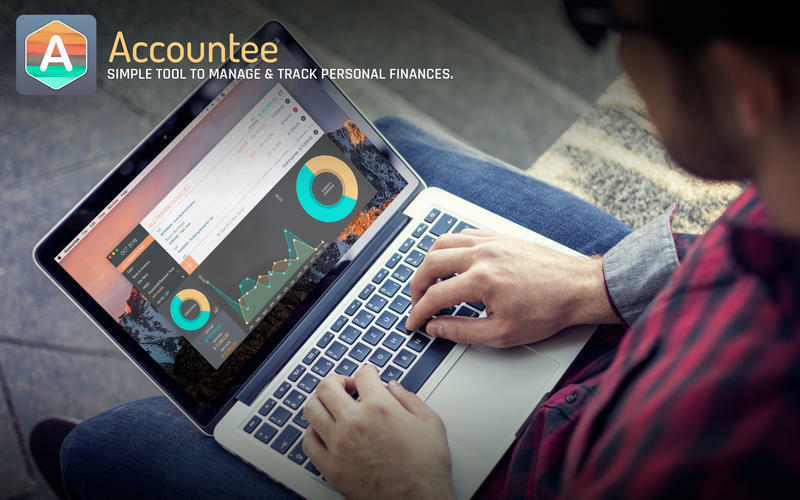 Is there a better alternative to Accountee? 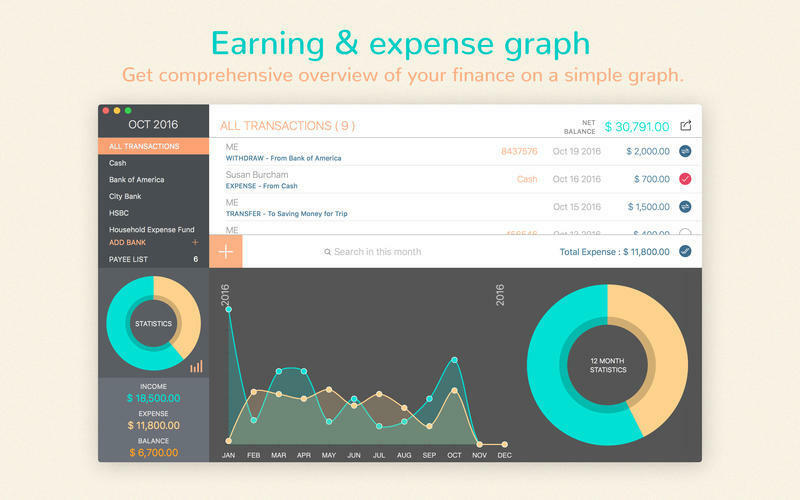 Is Accountee really the best app in Finance category? Will Accountee work good on macOS 10.13.4? 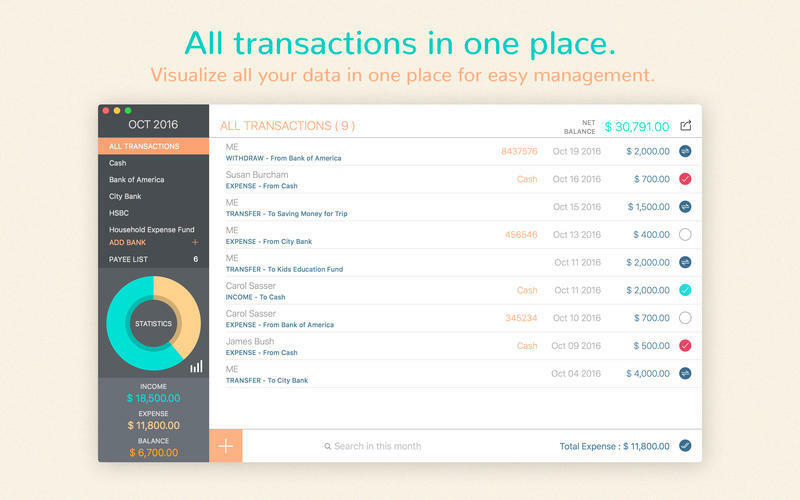 Accountee allows you to keep a close eye on all your bank accounts, personal funds and transactions in one place. 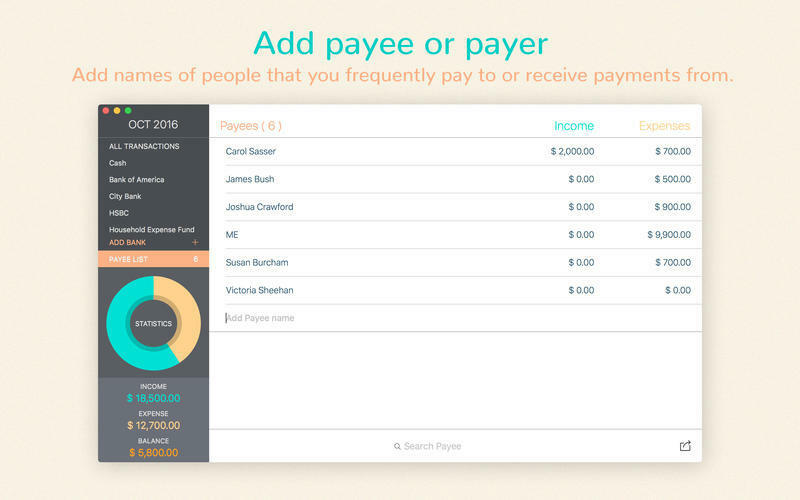 Accountee lets you register various kinds of transfers that you make as payments (EXPENSES) or transfers that you receive from others (EARNINGS), in an easy-to-use interface. The app has been designed by giving importance to every detail of all kinds of transfers. 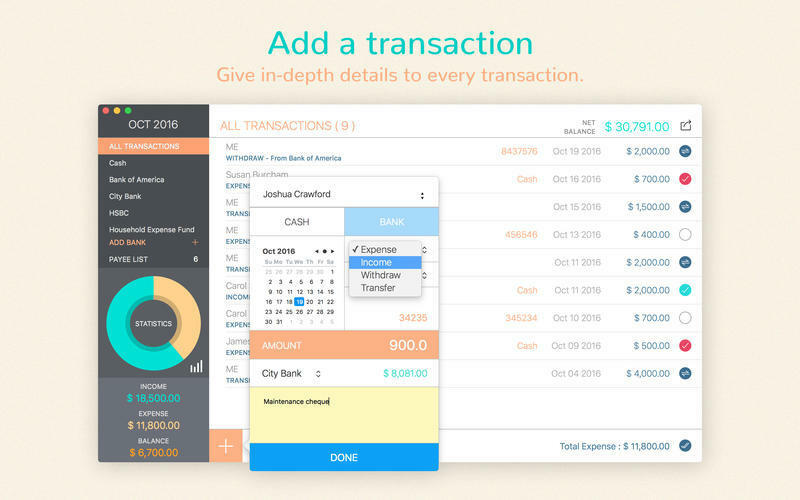 Be it a cash or a bank transfer, Accountee gives you full access to keep a log of your finances. Accountee needs a review. Be the first to review this app and get the discussion started! Accountee needs a rating. Be the first to rate this app and get the discussion started!